To understand the importance of a floor plan, let’s recall our basic knowledge about it. A floor plan depicts how a home would look like given the relationship between rooms, spaces, and physical features, as seen on a bird’s eye view. It is an illustration that gives homebuilders, renovators, developers, and realtors a concrete guide during the construction process. It is an essential tool because it explains the flow of space, one of the key aspects of building a perfectly good dream home. At the same time, it also doubles as an effective tool that the sales agent can use to provide interested clients with a clear image of how the property looks like. Drawing floor plans is a serious activity. It needs meticulous planning to meet all the requirements needed to complete the actual structure and the design of the house. Today, finishing a floor plan is easier compared to years ago when engineers and architects used to draw manually. There are several 3D modeling software available in the market today that is worthy to invest with. Hand-drawn floor plans take a lot of time to draw, not to mention the time wasted in repeating the entire process when there are inaccurate measurements. Sure, beginners will struggle to use 3D modeling software because they are still unfamiliar with the uses of each tool. But as they get acquainted with it, the entire process will become faster and easier. Instead of wasting papers when there are mistakes and repeating from scratch, all they would do when they are using software is to delete the actual drawing error and continue on drawing the floor plan. By using this technological tool, creating a floor plan — and even a 3D house plan — becomes faster. Thus, meeting the timeframe set by their clients. 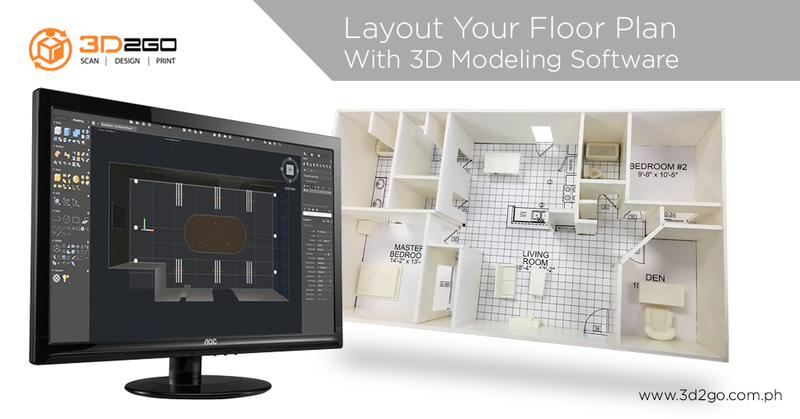 A 3D modeling software has features that allow for a more realistic representation of floor plans. With this, home developers can see clearly if the plan has been followed or if there are some revisions that need to be done. Sales agents can also get the most out of it. Because it looks as if almost real, the customer can possibly almost see what the property offers even if they don’t have a full understanding of its technicalities. A digital floor plan is an effective way of transferring information or conveying decision from one place to another — even when both parties are miles apart. Instead of waiting for days for the courier to arrive, home developers or investors can receive the file after only a few minutes. Let’s be real: using 3D modeling software to design floor plans or 3D house plans is not an option anymore; it is a necessity. There’s no reason to say that you don’t know where to get software when you can find lots in the market such as Floorplanner, Homebyme, RoomSketcher, and SketchUp. But if you’re not an expert in using these software, why don’t you get some help from the experts? For more information about this, contact us today!